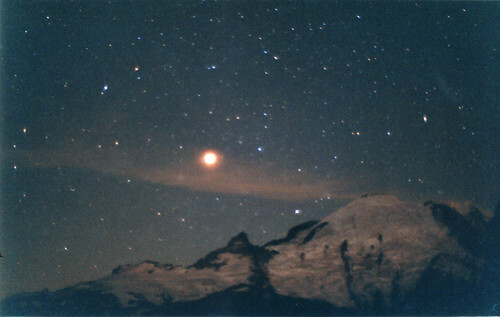 Mars sets over Mt. Rainier on September 21, 2003; the closest it's been in nearly 60,000 years. Mars appears larger than its true size due to light scattering from the edge of the cloud and in the film grains. Photographed from Sunrise Visitor Center.